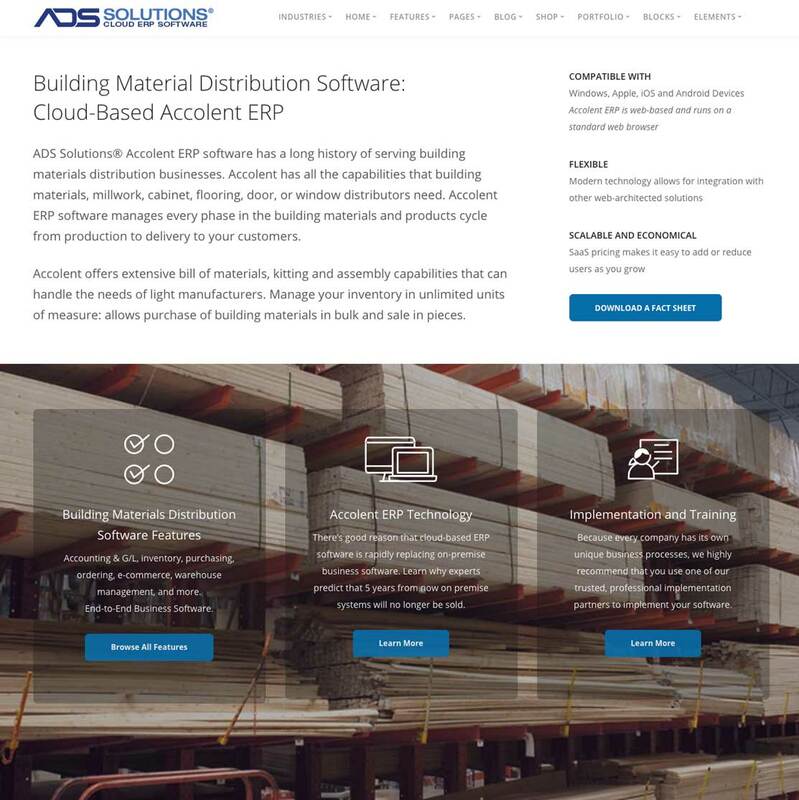 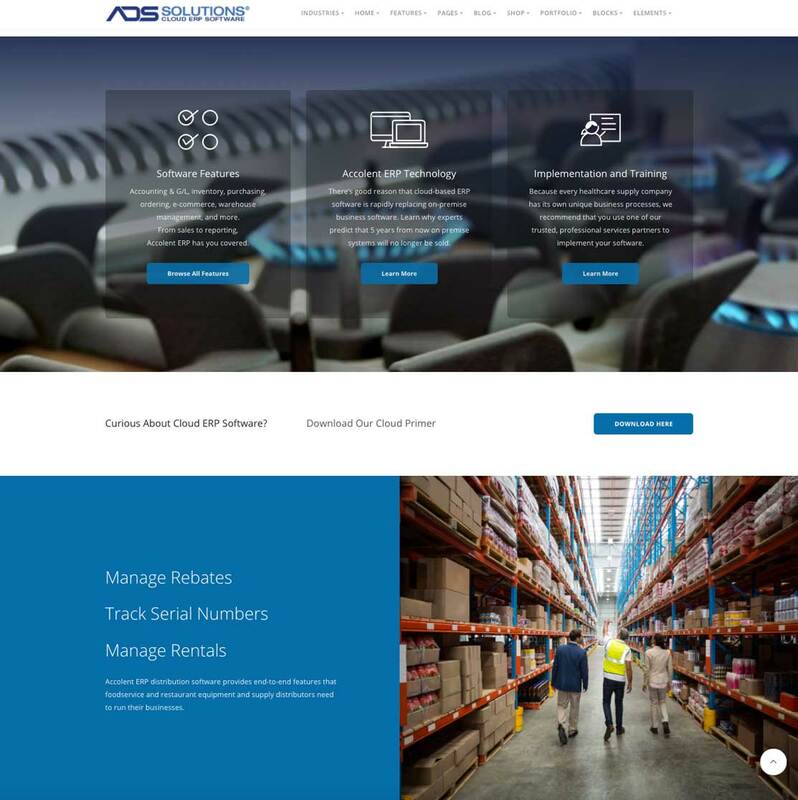 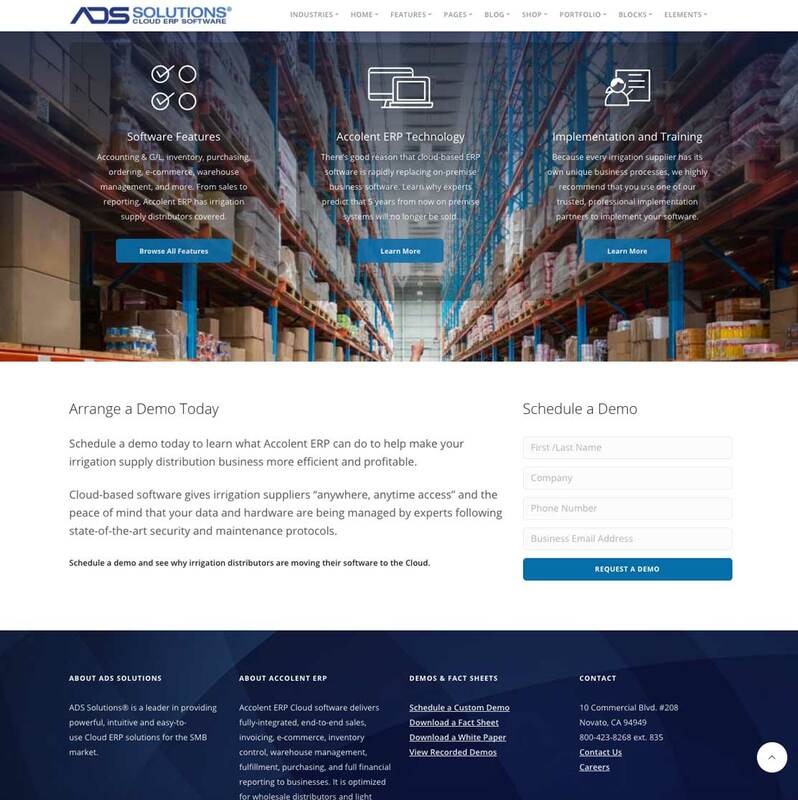 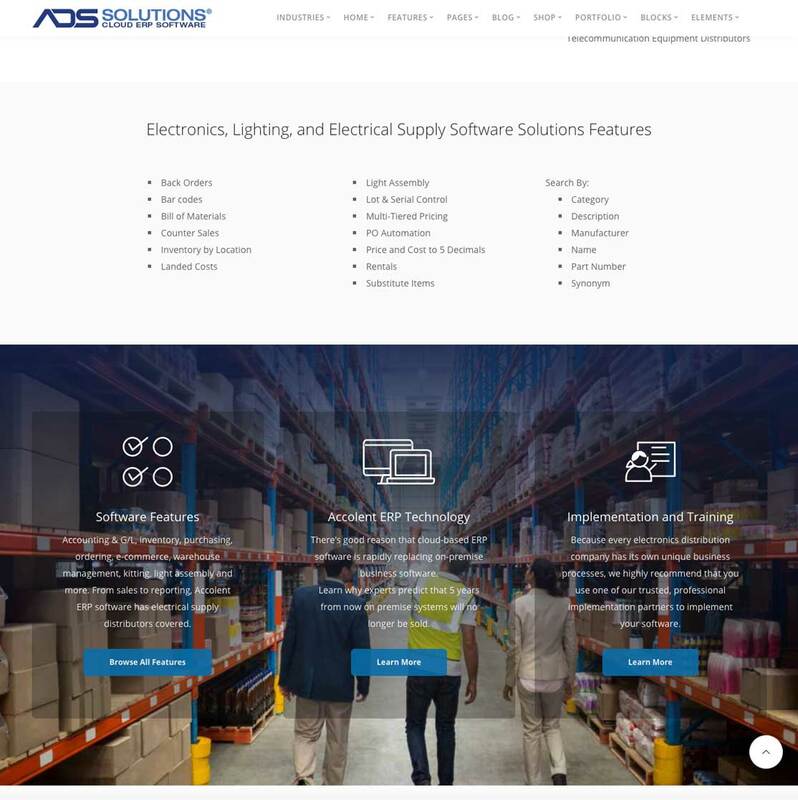 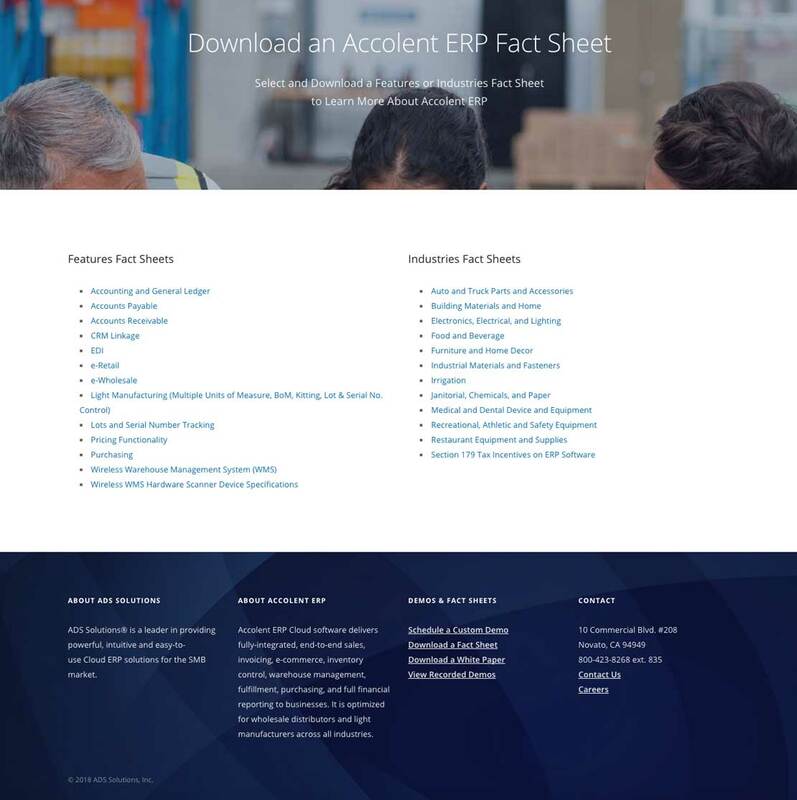 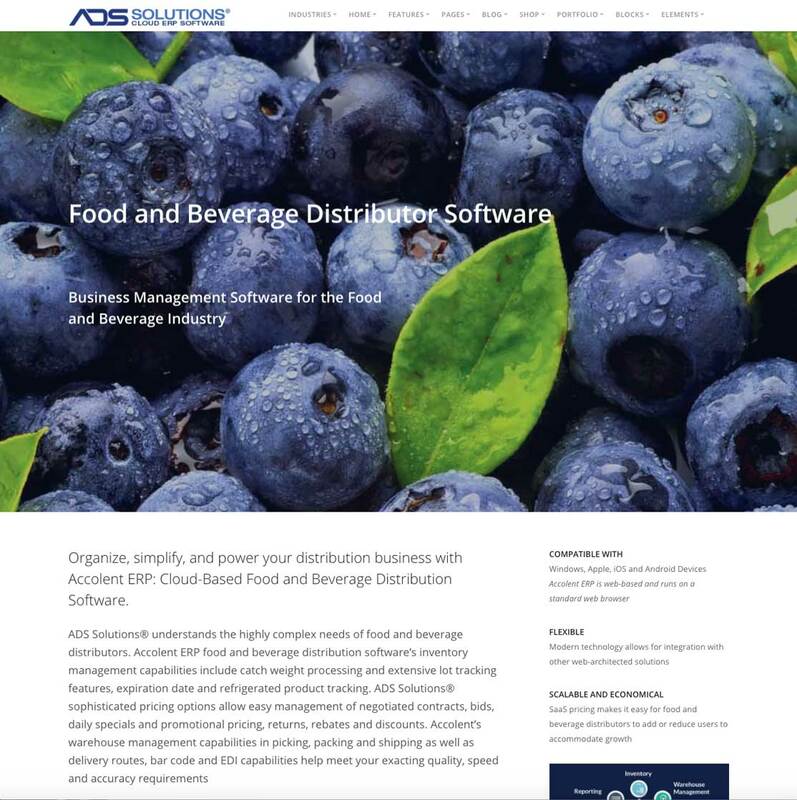 ADS Solutions, the maker of Accolent ERP asked us to re-design their website, giving it a younger, more modern look and feel. 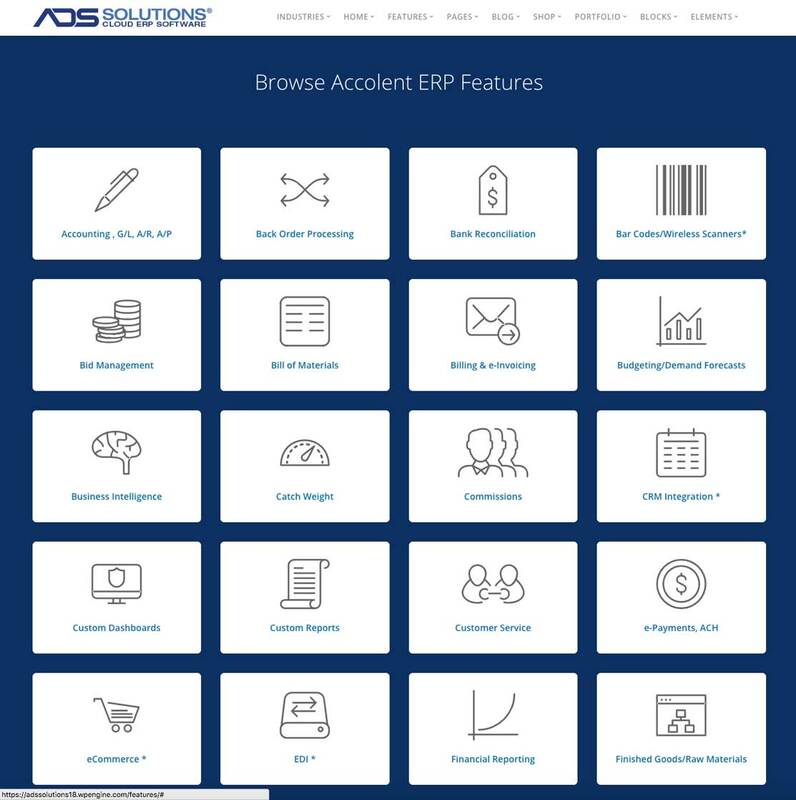 The 30+ download forms all directly integrate with the client’s CRM. 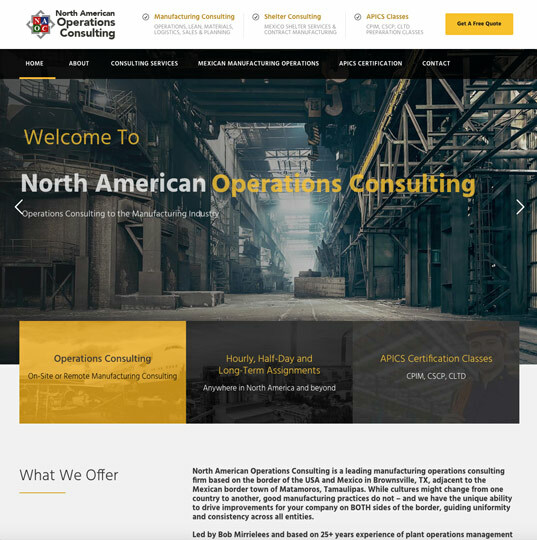 Multiple landing pages support email and PPC campaigns.